Vanessa Pierson is an agent with the CIA. She is a case officer for them, meaning that she routinely handles native assets, people from a foreign country providing information or aid to the Americans in exchange for something whether it be money, future asylum, or personal satisfaction. She has been working at that for some time and has a good deal of experience. Some of the experience of late, however, has been less than stellar though not necessarily through a fault of hers. Regardless of the reason, however, failures do not keep you liked or appreciated by the upper levels of the CIA and as the series opens, she most certainly is not in favor with the brass. Making her life even tougher is the fact that when she works in the field as she normally does, she does so as a NOC or nonofficial cover officer, a nice way of saying that she has no official backing and thus no diplomatic protection. If she is caught, it would not go well with her. Considering the people who seem to routinely try to kill her, on the other hand, getting caught by the authorities might be the better option. Adding to the trouble that Pierson faces in the field is that as she nears her 30th birthday, she has been suffering off-and-on for over a decade with panic attacks. These usually brief periods of intense anxiety sometimes rob her of her senses as she copes to regain control and if they should come during a particularly hoary mission, they would be her downfall. She keeps these episodes secret, though, because knowledge of them would get her thrown out of the career she still desires. Not mentioning them might get her killed. The chase for the international arms dealer Bhoot, alias the Ghost, is intensifying at the CIA as he specializes in nuclear armament. Heading the mission is ops officer Vanessa Pierson. With so much importance on this assignment, she must call upon all the assets of the Agency, including demands from her lover, a fellow officer. 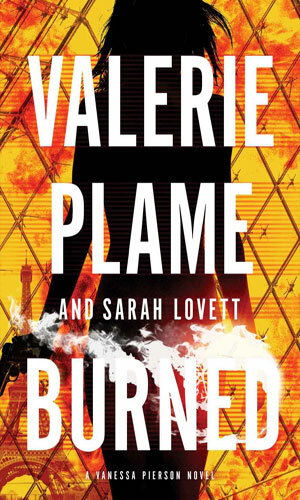 Vanessa Pierson is certain her old enemy, Bhoot, is behind an explosion at the Louvre that almost kills her. An unknown terrorist group claims responsibility, however, and Bhoot himself calls her to deny his involvement and to help her out on a new case involving a miniaturized nuke. If you take a very experienced actual CIA agent and put her in the same room with an equally experienced novellist, assuming the former is willing and able to talk fairly freely to the latter, you would likely come up with a good story. That definitely happened in this case. 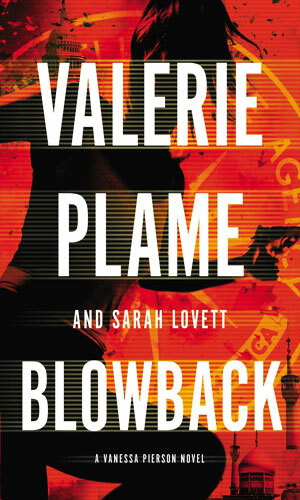 Between her own life experiences and those of her colleagues, Valerie Plame certainly knows the cloak and dagger world she was forced to leave because of a big-mouthed politician. And Sarah Lovett not only knows writing extremely well with her Sylvia Strange series of mystery thrillers, she has a background in criminology and phychology so she has a pretty good grasp of people's minds and motives. So what we get is a darn good spy fiction adventure series that unfortunately only produced two missions. I could and do wish for more but it is important to be grateful for what you do have and we do have these two books which deserve to be read.